For another in-depth look at the catching depth the Red Sox have in the minor leagues, check out this piece by SoxProspects.com Editor-in-Chief Mike Andrews on ESPNBoston. It is the second in a five-part series detailing the depth in the Red Sox farm system. The first round of cuts from major league spring training came this week, with Henry Owens, Matt Barnes, and Blake Swihart (pictured, above) among the seven players reassigned to minor league camp, and Anthony Ranaudo and Garin Cecchini among the five players who were assigned to Triple-A Pawtucket. The Red Sox now have 46 players in major league camp. A familiar name was signed this week, as Michael Olmsted was picked up after he was released by the Milwaukee Brewers. 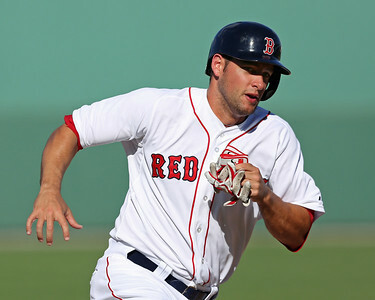 Olmsted spent the 2011 and 2012 seasons with the Red Sox, with strong numbers throughout his time in the organization. He did not have the same success with the Brewers, and he will look to get back on track in either Pawtucket or Portland. Despite hitting a home run on Sunday, it has been Deven Marrero's glove that has stood out so far in spring training. John Farrell raved about Marrero's defense before Sunday's game, comparing him to former Red Sox shortstop Jose Iglesias. While the Jackie Bradley, Jr. and Grady Sizemore battle for the center field job has been much discussed, the lack of depth behind those two has not received much attention. As Tim Britton of the Providence Journal points out, the Pawtucket center field job seems to be Corey Brown's to lose. After a down season in 2012, Alex Hassan (pictured, right) re-established his value with a strong 2013 campaign. He told Brian MacPherson of the Providence Journal that he made mechanical adjustments to his swing before the 2012 season that ended up hurting his performance. After spending countless hours studying other hitters, Hassan says he now understands his swing better, and is looking to pick up where he left off in 2013. Allen Webster has struggled in his last few appearances, but he is not discouraged by the numbers. He told Britton that he is progressing with his command, and feels more confident, even after allowing three runs in four innings on Sunday. While top prospect Xander Bogaerts has gotten off to a slow start this spring, Farrell mentions that the extra work he has been doing in the field with coach Brian Butterfield may be taking the focus out of his at-bats. As Maureen Mullen notes in the Boston Globe, Bogaerts is tied with Johnny Gomes for the most defensive innings played this spring, with 60. As Kevin Thomas notes in the Portland Press Herald, third baseman Garin Cecchini will likely open the season in Pawtucket. 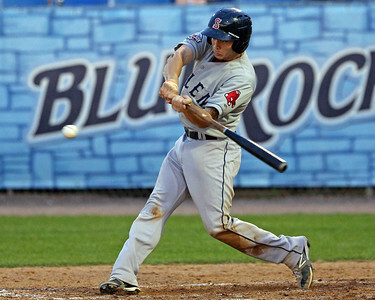 Cecchini was assigned to Triple-A after being cut from major league camp, signaling that he will not go back to Portland after spending the second-half of last season with the Sea Dogs. Michael Almanzar, who was drafted by the Baltimore Orioles in the Rule 5 draft, saw his chances to make the O's major league roster increase when news came out over the weekend that Manny Machado will start the season the disabled list. Almanzar has hit .214/.313/.429 with one home run in 28 at-bats this spring.